Researchers have observed for many years that cancer becomes more common as people get older, but scientists are still searching for answers about why this happens. However now, investigators at the Hollings Cancer Center, part of the Medical University of South Carolina, found that human lung cancer cells resist dying by controlling parts of the aging process. Findings from the new study—published recently in The Journal of Biological Chemistry, in an article entitled “Balance between Senescence and Apoptosis Is Regulated by Telomere Damage–Induced Association between p16 and Caspase-3”—could help researchers better understand aging and eventually lead to new treatments for cancer. In the new study, the research team found that cancer cells have specific ways to resist dying the way normal cells do. They do so by protecting the tips of their chromosomes, which hold our DNA, from age-related damage. As normal cells get older, the tips of their chromosomes, called telomeres, can start to break down, which is a signal for the cell to die. This seems to be part of the aging process in normal cells. However, cancer cells have developed a way to prevent their telomeres from falling apart, which helps them to live much longer than normal cells. The long life of cancer cells is part of what allows them to grow and spread throughout the body. The Hollings team uncovered a specific way that cancer cells escape death in response to telomere damage. Scientists have known that several types of cancer cells have low levels of a protein called p16. 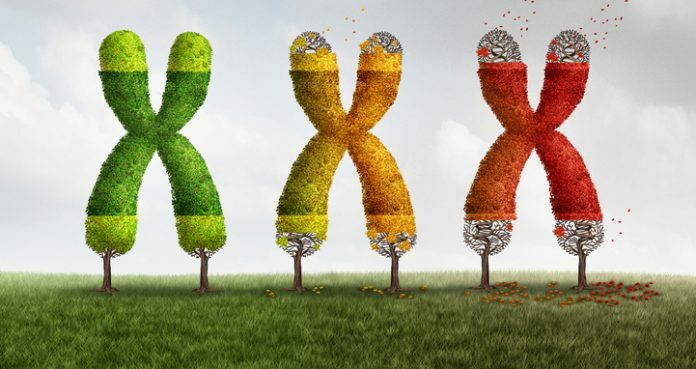 The investigators found that, when telomeres become damaged by age or in response to chemotherapy, p16 is a type of cellular decision-maker, where it helps cells decide to grow older or to simply die. The researchers found that p16 became most important to cells when their telomeres began to break down. Subsequently, p16 rushes into action and pushes cells toward further aging by inhibiting cell death. To determine the clinical impact of this data, the researchers used a chemical enzyme inhibitor to cause telomere damage in several types of cancer cells, including lung cancer cells. The inhibitor, ABC294640, acts in a way that prevents cancer cells from protecting their telomeres, by inhibiting an enzyme called sphingosine kinase 2. This inhibition was shown to force telomeres to break down. As a result of this enzyme inhibition, telomeres were damaged, resulting in cancer cell death when p16 levels were low or absent. However, cancer cells with high levels of p16 were able to escape death, and stayed biologically inactive, which was a sign of aging. Dr. Ogretmen and his colleagues are enthusiastic that the inhibitor in their study might help combat cancer at many levels. The team has already identified the safest dose for use in patients and is planning a Phase II clinical trial using their inhibitor in patients with a type of liver cancer called hepatocellular carcinoma. The multisite trial will include Hollings Cancer Center, Penn State, the University of Maryland, Mayo Clinic, and others.